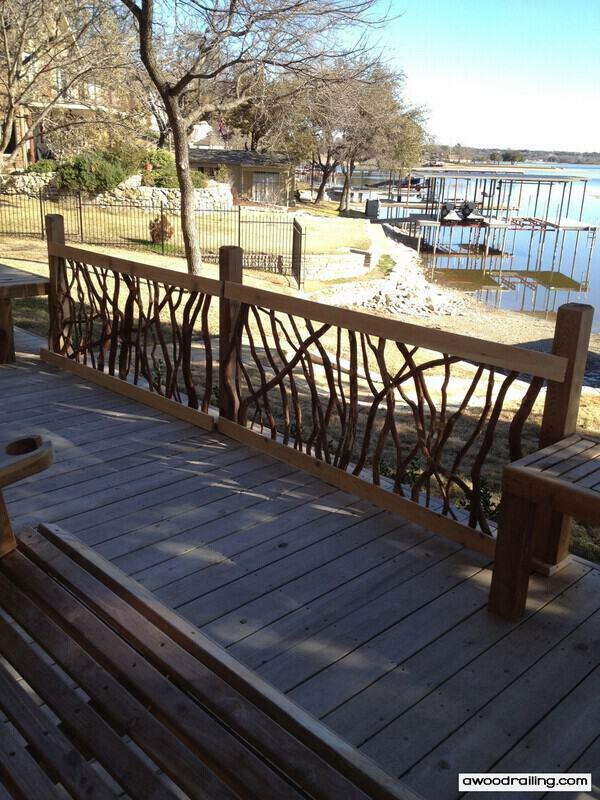 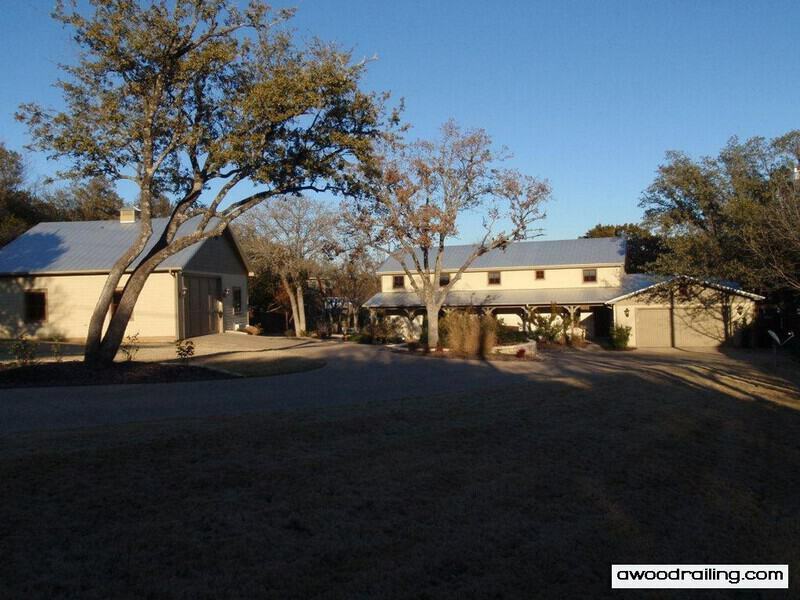 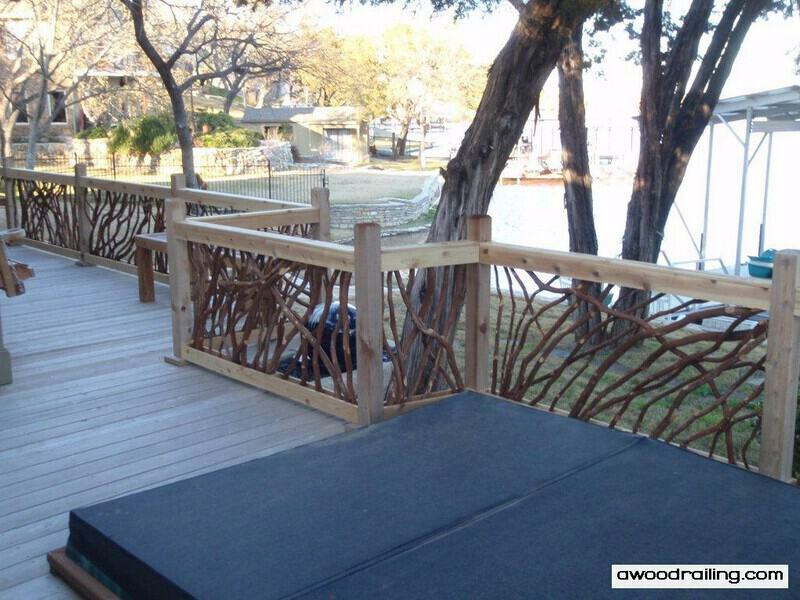 The deck railings chosen for this lake house in Texas were Mountain Laurel Handrails! 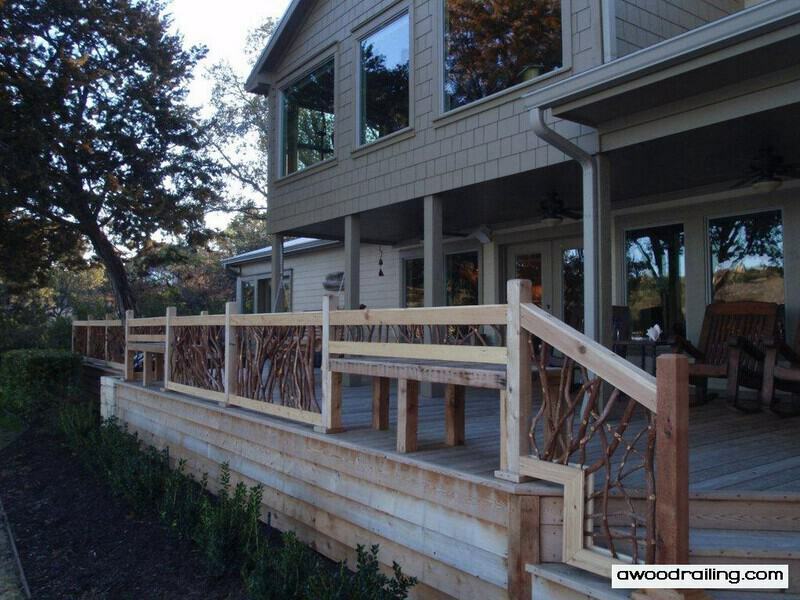 These railings make a great statement with the craftsman style siding and architecture on this home. 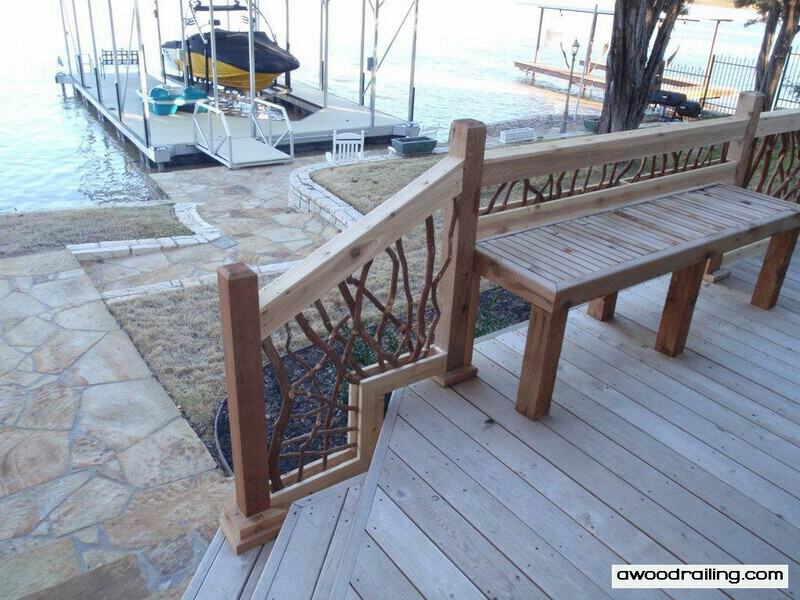 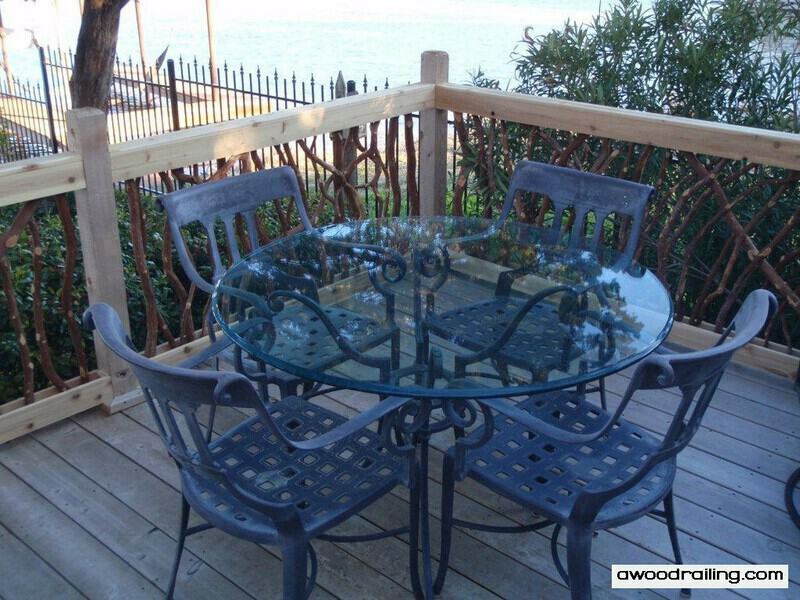 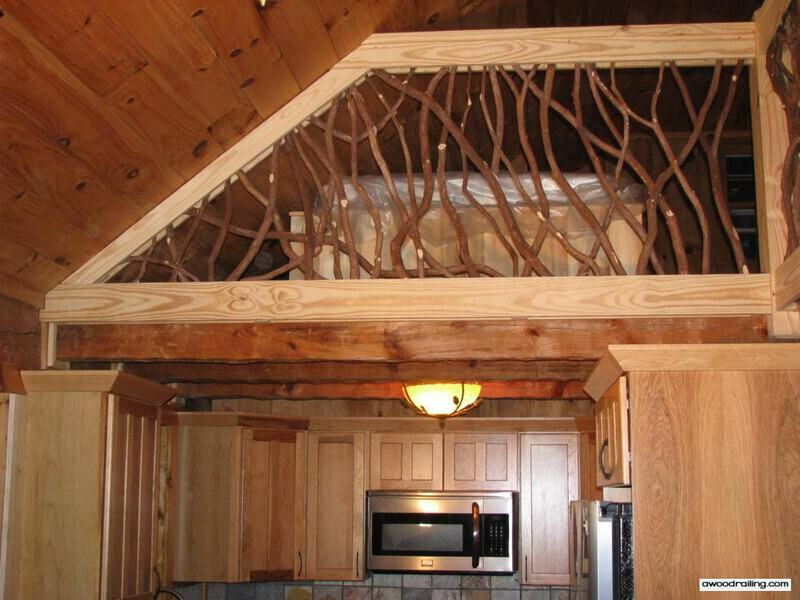 The deck balusters are branches in the railing and really set this deck ahead of others on the lake! 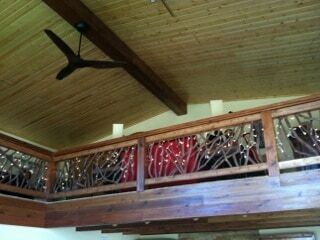 The homeowner on this project sent pictures of the work in progress. 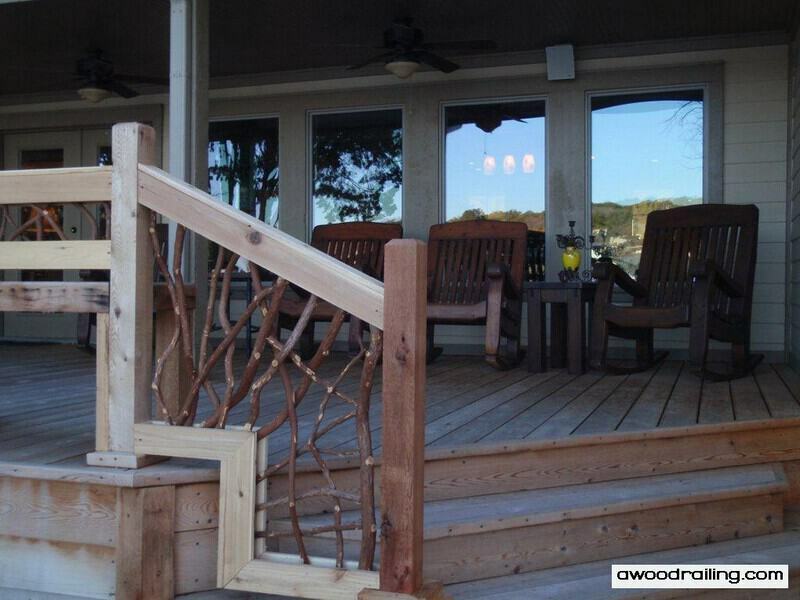 The sun shines a little bit brighter when Mountain Laurel Handrails arrive and are uncrated, on the left. 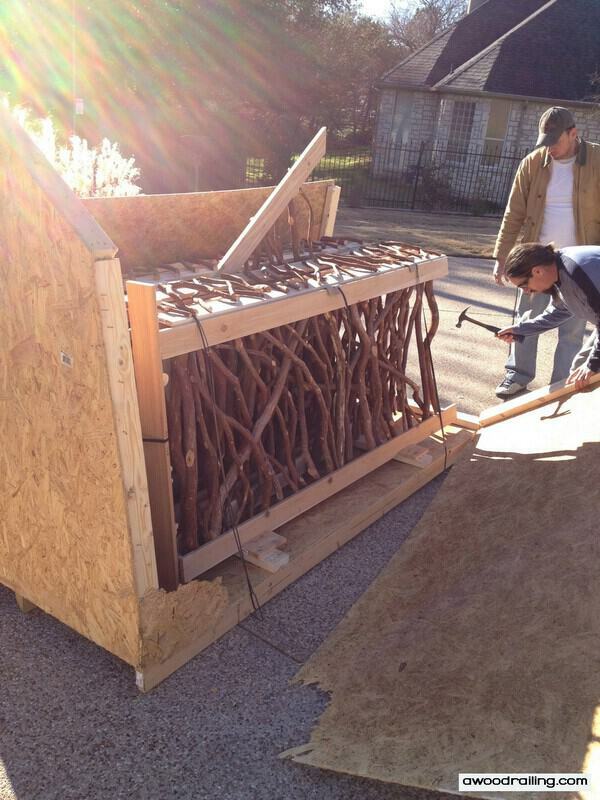 On the right, the crew sets the sections out in front of the posts for organizing and cutting to fit. 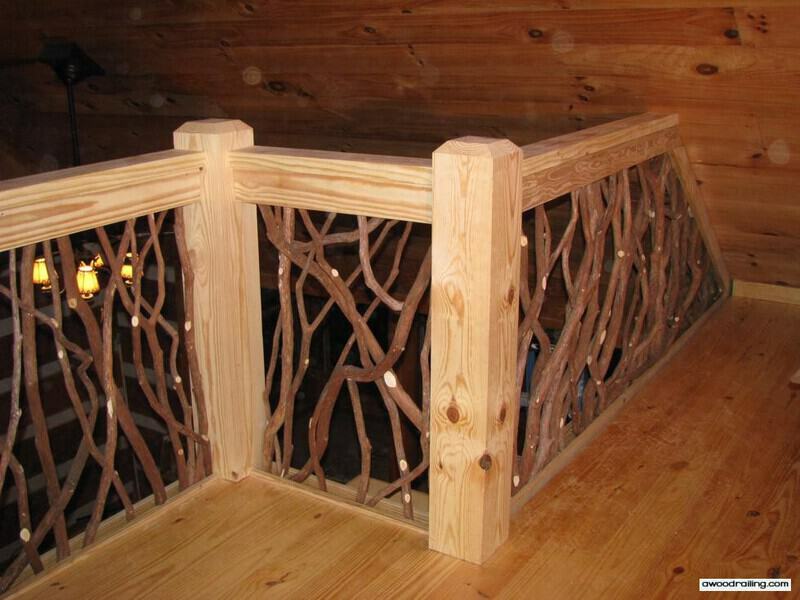 On the left, sections are ready to be cut. 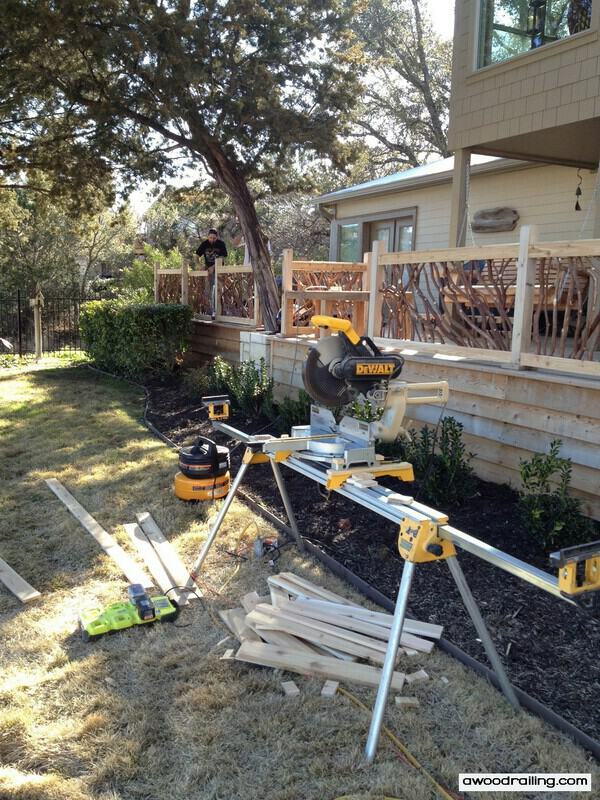 Since each section must be cut to fit, it’s important for the saw station to be near the work as shown in the picture on the right, which, incidentally, also pictures the best double bevel, compound sliding miter saw that DeWalt made. 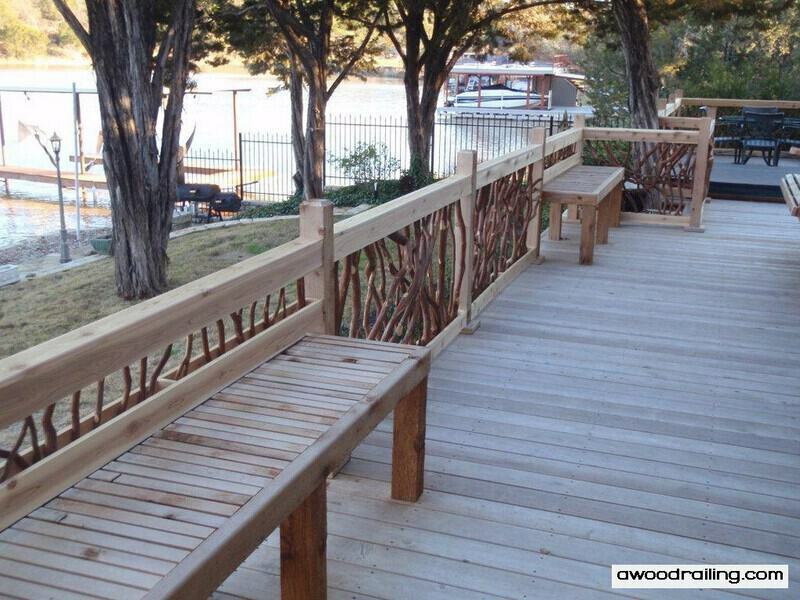 Built-in bench seating is a great way to make the deck more inviting and appealing especially during parties or when guest are visiting. 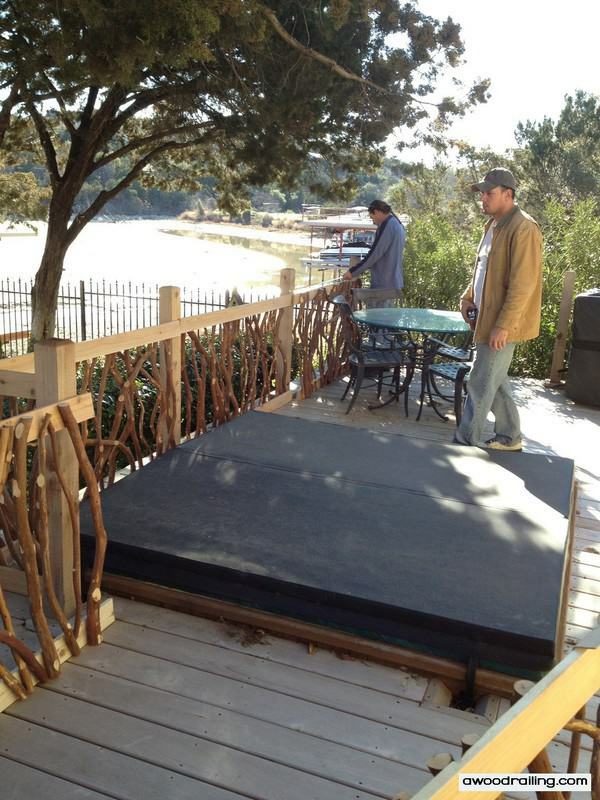 The flagstone walkway from the deck stairs to the boat house and lake. 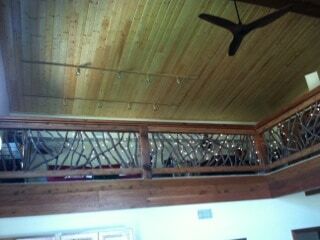 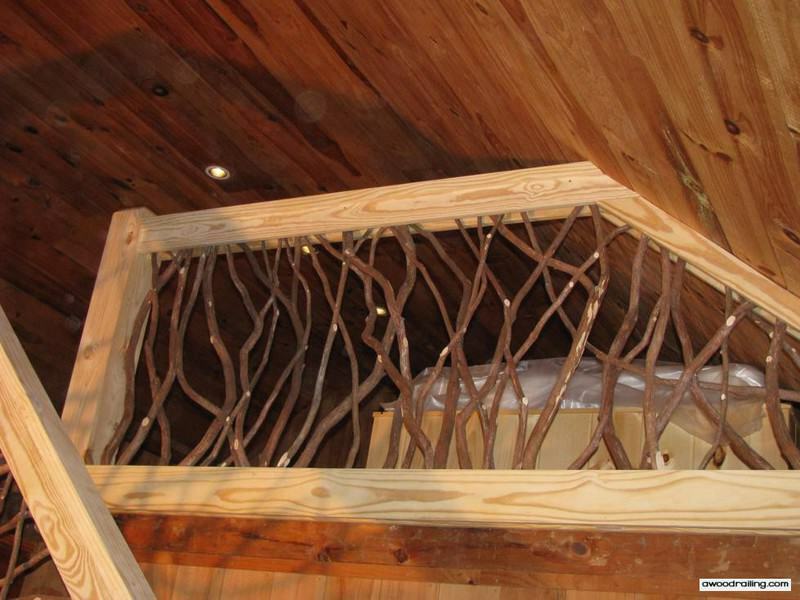 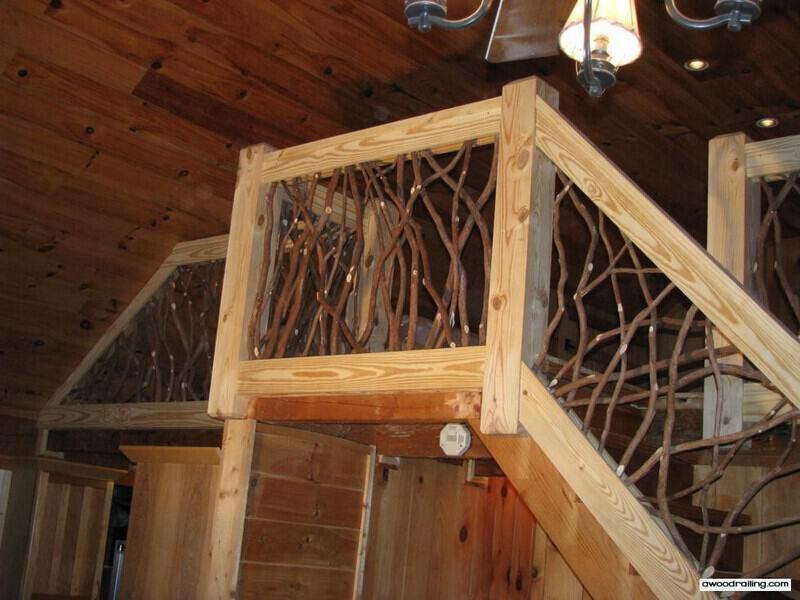 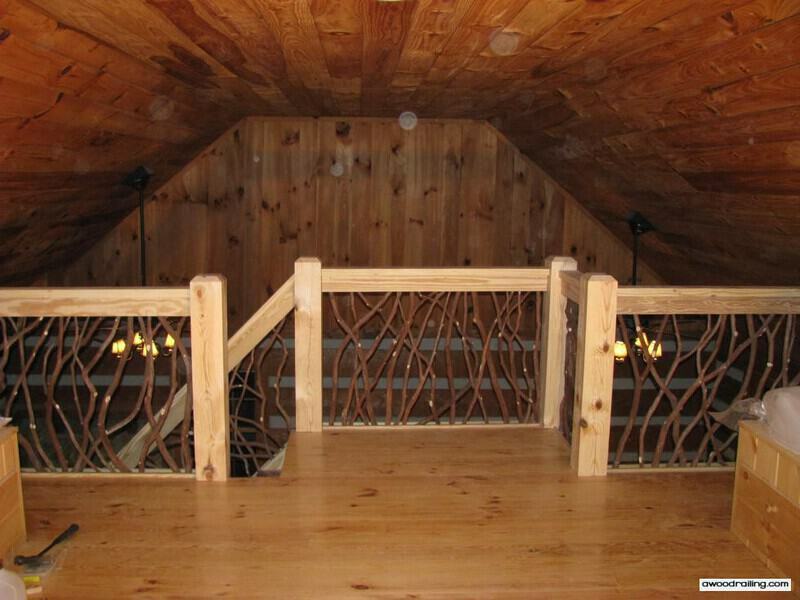 Rustic handrail is the view from the master suite next to the hot tub. 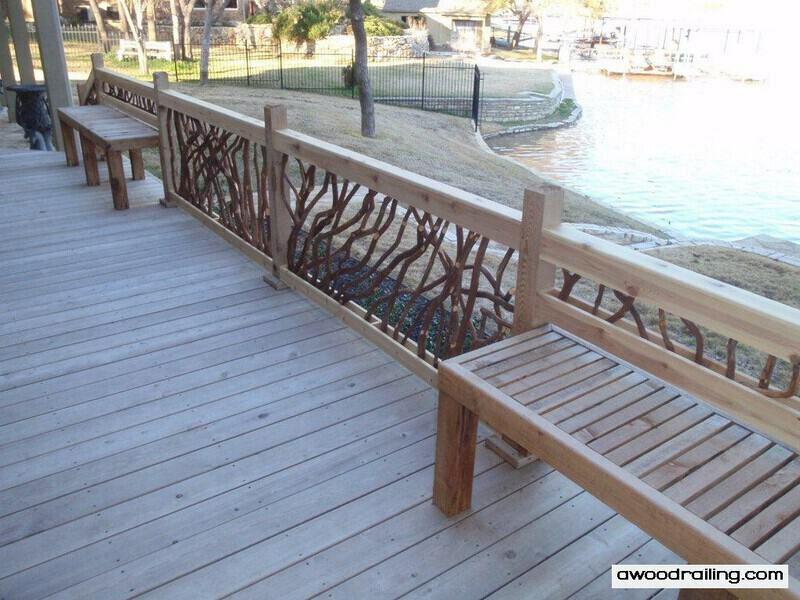 The design of this deck is awesome and the ball that floats on water is too. 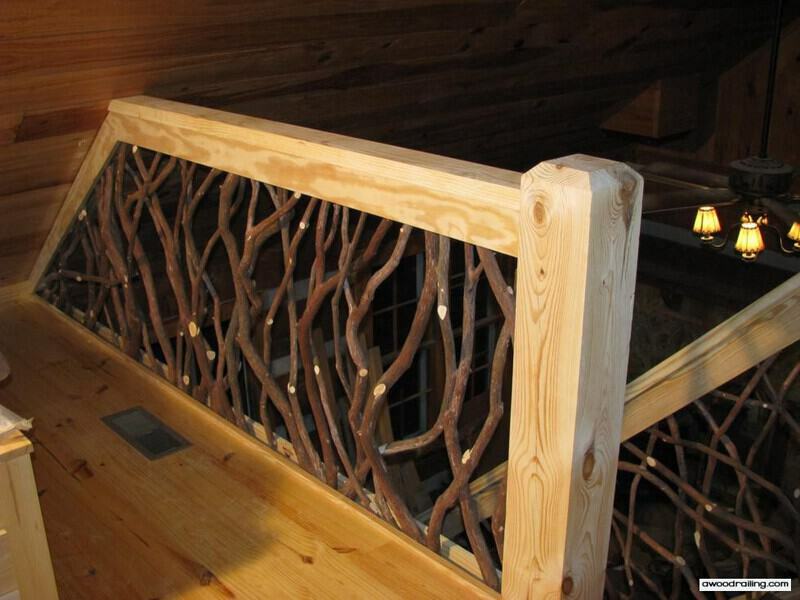 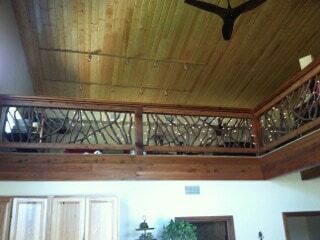 The carpenters on this project did a great job with this stairs railing section. 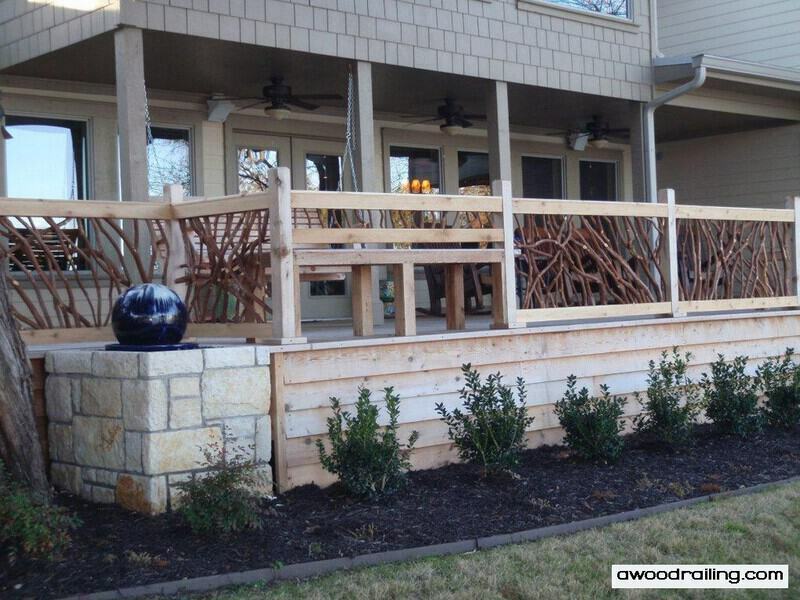 Notice first how the top of the stair handrail and the flat handrail on the deck line up on either side of the post. 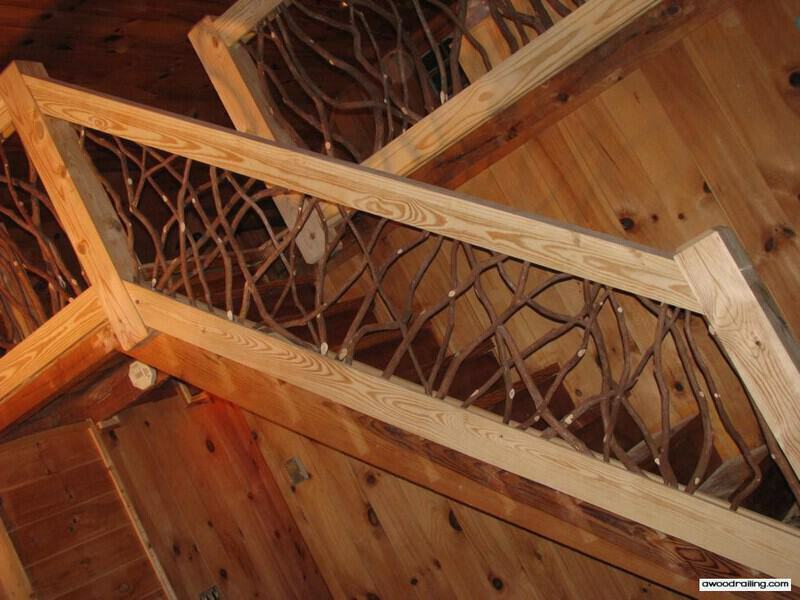 The carpenters also had to modify this section to accommodate the angled stairs and the newel post being set back in so far from the edge. 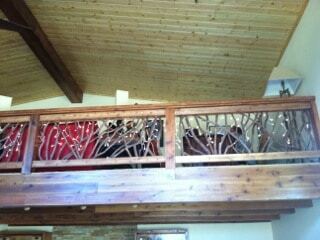 Here’s another two views of the built in benches and hot tub. 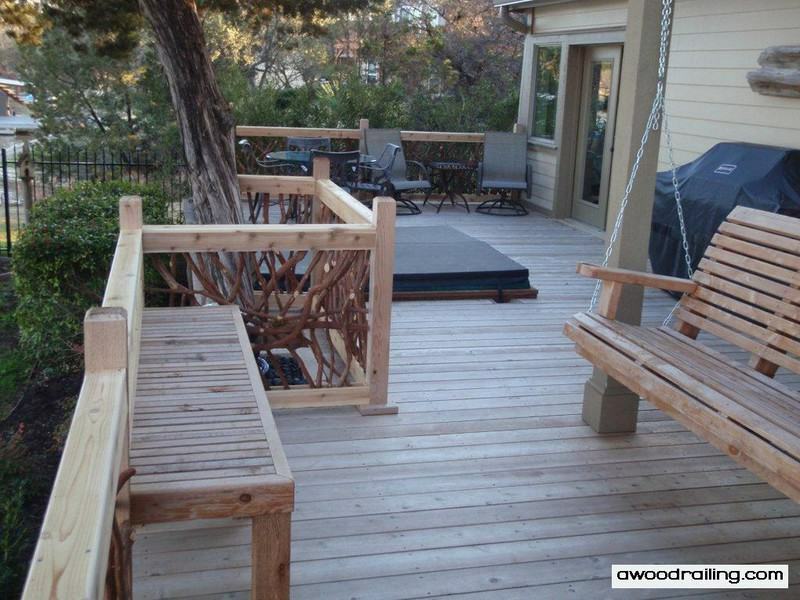 There’s also a large porch swing for cozying up with your special someone to enjoy the view of the lake. 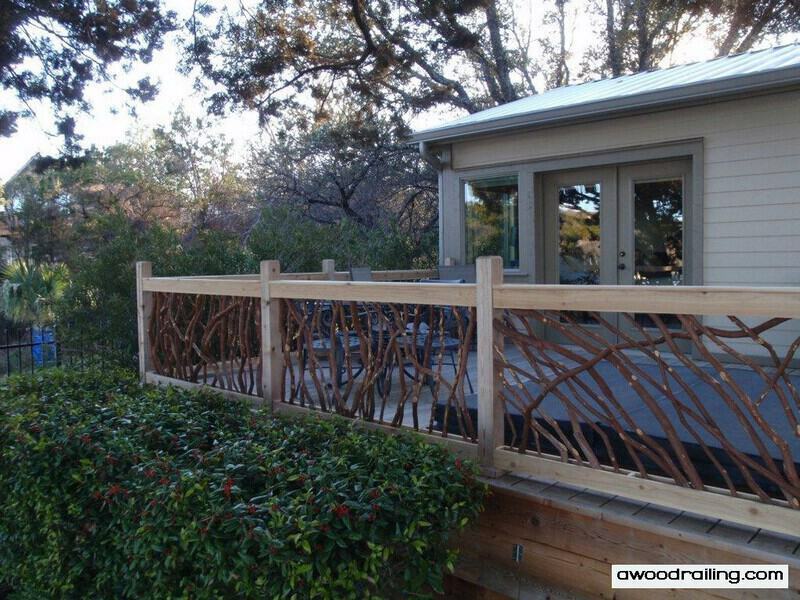 This is the corner of the deck by the master suite right next to the hot tub and some deck furniture perfect for a lazy brunch.